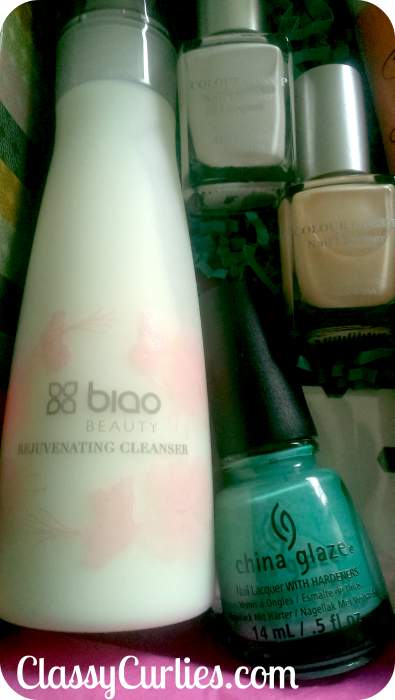 I received 5 full-sized items including three nail polishes, a body wash and a hand cream. I love the brands they chose to include because they are well-known and recognized. For the most part I've used some of these brands before, like Shea Moisture and China Glaze. I am interested to try the Biao Beauty Rejuvenating Cleanser. It just so happens that I've ran out of my normal cleanser, so I will be trying this out soon. The box I received was for May, but I am excited to know what lies in the next box. The box will always include 5 full-sized beauty items at a price of $25/month. Like I said before, I did receive the box for free for review, however I am interested in a subscription, although I'd like to see what June holds. You can purchase your own ONYX box at weareonyx.com.